I'm going to need you all to stop circulating this now, okay? 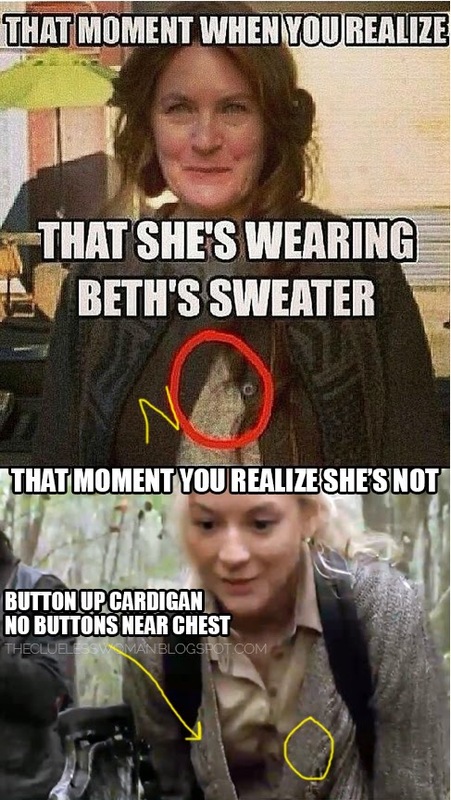 I am not saying Beth isn't in a cargo crate at Terminus, yelling her southern little songbird lungs out... But that's not her sweater cannibal Mary is sporting.